We are dedicated to offering all of our guests an equal, stress-free experience at our hotel. 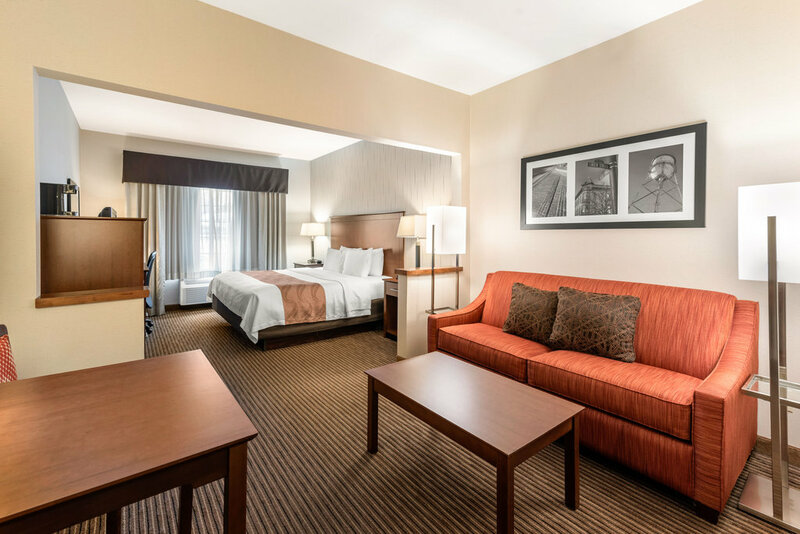 Our accessible King Bed Suite offers a spacious king bed, a sleeper sofa, separated living and sleeping quarters, and premium bath amenities. 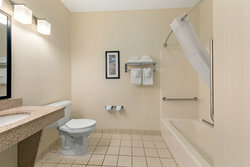 For your accessibility needs, benefit from grab bars in the bathrooms and a roll-in shower, providing each guest with easy access. Treat yourself to a spa-like experience with our “Q Shower” Program, which promises extensive showerhead settings for the best possible clean! 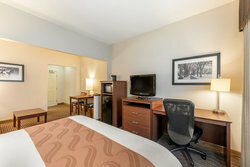 Sleep like never before in our “Q Bed” and relax in front of your high-definition TV at night in this affordable hotel room in Fort Collins. For business travelers, this spacious one-bed suite will meet your needs with a desk and ergonomic chair, complimentary Wi-Fi, and a spacious closet for hanging all of your freshly-pressed office-wear.